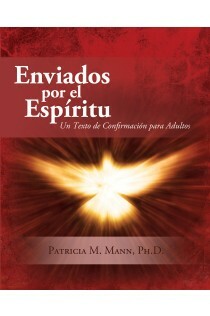 The adult candidate for the Sacrament of Confirmation has unique catechetical needs. These candidates are already Catholic, so a catechumenate process for converts is not a good fit for them. The candidates need a specific preparation program for Confirmation, but they certainly should not be placed in a class designed for children and adolescents. Sent Forth in the Spirit addresses this critical adult need. Dr. Patricia Mann designed each chapter of the textbook to offer a deeper understanding of the Catholic Faith which the candidates already profess. In twelve succinct, meaty, but easy-to-read chapters, the text covers God and the sacraments, the Mass, morality, spirituality, Mary, the saints, and more. The final chapter enthusiastically sends the adult candidates forth to share their strengthened and reinforced faith. Send adult confirmands forth with the preparation they need.